With only a few days before the Royal Wedding, people around the world are preparing for the global phenomenon. Hundreds of millions of people are expected to watch Prince Harry marry Meghan Markle at St. George’s Chapel at Windsor Castle. The streets will be lined with thousands of well-wishers hoping to catch a glimpse of the happy couple. For those not lucky enough to be on the guest list, the best option is to watch live. Don’t miss a single second of the excitement. Here is all you need to know before waking up at the crack of dawn. When is the wedding, again? The wedding of Prince Harry and Ms. Markle will be Saturday, May 19th, 2018. The hour-long ceremony will begin at 12 pm sharp (7 pm Eastern) at St George’s Chapel in Windsor. The service will end about 1 pm (8 pm Eastern) when Prince Harry and Ms. Markle have taken their vows – officiated by The Archbishop of Canterbury, Justin Welby. Will the wedding be on television? In America, the closest we can get to the Royal Wedding is watching it on television. Here are some of the places you can catch the nuptials. PEOPLE.com will begin broadcasting at 6 am. They will also be live streaming the ceremony. NBC will start bright and early. If you are up at 4:30 am, you can start watching coverage on NBC 2.5 hours before the live wedding. ABC’s Good Morning America is traveling to Windsor for the wedding where they’ll tape five hours of live coverage starting at 5 am. The wedding will also be streaming live on their website. PBS will be broadcasting the royal wedding live. 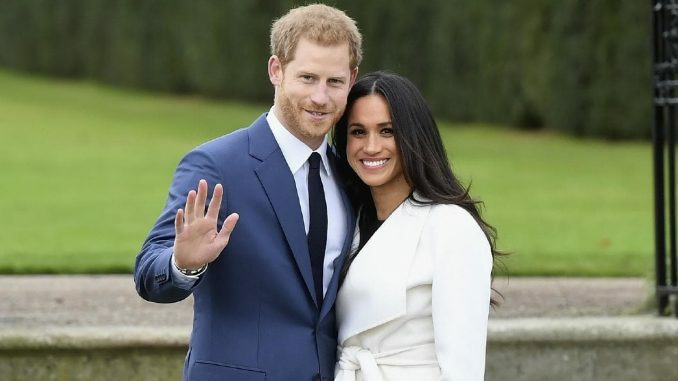 They will also air several episodes about Harry and Meghan in the lead-up to the big day. This series is called Royal Wedding Watch. FOX News Will also be in Windsor. Their broadcast will begin at 6 a.m EST. CBS will be live from Windsor, starting at 4 a.m. EST. HBO will no doubt have the funniest coverage of the day. Will Ferrell and Molly Shannon will reprise the characters of local news anchors Cord Hosenbeck (Ferrell) and Tish Cattigan (Shannon). The duo previously “hosted” the Rose Parade earlier this year. This special, called The Royal Wedding Live with Cord and Tish!, will air on HBO starting at 7:30 a.m. EST. 4a.m. ET (9 local time): Charity workers, local school children, employees of the queen and other special attendees will arrive inside the grounds of Windsor Castle. 4:30 a.m. ET (9:30): Buses carry invited guests will begin arriving on site. 6:20 a.m. EDT (11:20): Members of the royal family will begin to arrive either on foot or by car. 7 a.m. ET (noon): The service will begin, lasting about an hour. The wedding will be officiated by Archbishop of Canterbury Justin Welby. The Dean of Windsor, bishop David Conner, will conduct the service. The presiding bishop of the Episcopal Church, American Michael Bruce Curry will give the address. 8 a.m. ET (1 p.m.): The service will end and the couple will exit the church together. They will first greet the representatives of Harry’s charities in the Cloister. Then they will meet with close family on the West Steps. After, they will enter their Ascot Landau carriage for a 25-minute procession before entering the reception hosted by Queen Elizabeth II at St. George’s Hall in the castle. Don’t miss out on the festivities with a bad connection. If your TV is in less than perfect condition, bring it to Zimmerman TV Repair and set your alarms for the big day!